An exciting lineup for Training Providers Forum 2018! The Department’s annual vocational education and training conference, the Training Providers Forum 2018, will be held on Monday 28 May at the Perth Convention and Exhibition Centre. The full program for the day is now available, and it’s jam-packed this year with exciting speakers and presentations. With the world of work changing so rapidly, we must understand what’s driving the changes and what skills our future workers will need – with that knowledge, we can shape VET to future requirements. From insights into the future of VET, through to creative ways to engage learners and even exploring issues and practical how-tos around training and assessment compliance, this year’s program promises a day that’s sure to interest and inspire you. Student perspectives – Hear from some of Western Australia’s most impressive VET students, including a WorldSkills international competition medal winner and WA’s Trainee of the Year 2017 winner as they share their stories of what can be achieved through a VET qualification. Plenary discussion panel – Six inspiring leaders in the world of vocational education and training share their insights into reshaping training to meet future skill needs in this lively and thought provoking session. Full details of all 17 workshops across the three sessions for the day – Curious about technology and disruption? 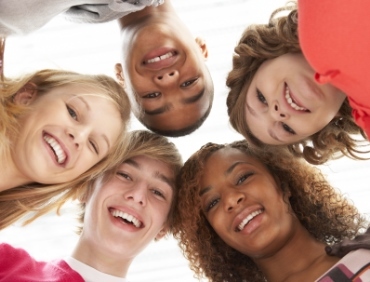 Want to ignite and excite your students? Want to master the use of email as a strategic communications and productivity tool? Or maybe you’re wondering how to survive that next audit. This year’s selection of presenters and topics will make you wish you could be in more than one place at a time! And don’t forget that we have breakfast and a special guest speaker at 7 am for our early risers, then once again we’re hosting networking drinks starting at 5 pm where you can unwind from a busy day and enjoy the opportunity to catch up with colleagues. Registrations are open now, and early bird rates have been extended to Friday 11 May – don’t miss out on your opportunity to attend Training Providers Forum 2018. Early bird registration now extended! Training Providers Forum 2018 – Register now! 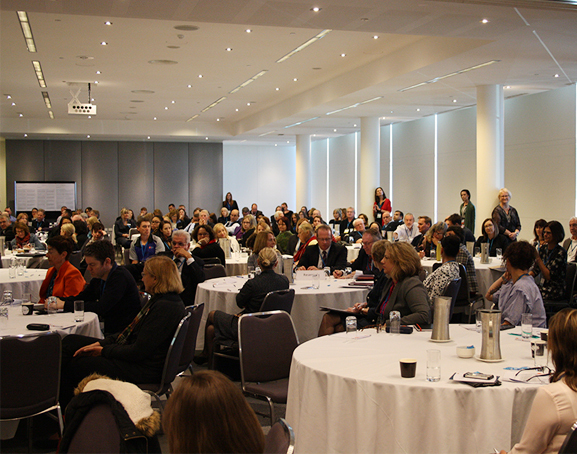 The Department’s annual vocational education and training conference, the Training Providers Forum 2018, will be held on Monday 28 May at the Perth Convention and Exhibition Centre. Early bird registration has now been extended to 11 May. A preview program is now available to give you a look at some of our exciting speakers, presentation sessions and workshops. With guest speakers from some of Australia’s most innovative training organisations and leaders in vocational education and training sharing their knowledge and experiences, there’s something here for everyone. From insights into the future of VET, through to creative ways to engage learners and even exploring issues and practical how-tos around training and assessment compliance, this year’s program promises a day that’s sure to interest and inspire you. For our early risers, we have breakfast and a special guest speaker at 7am, and once again we’re hosting networking drinks starting at 5pm where you can unwind from a busy day and enjoy the opportunity to catch up with colleagues. Registrations are now open – get in quick for your early bird discount! 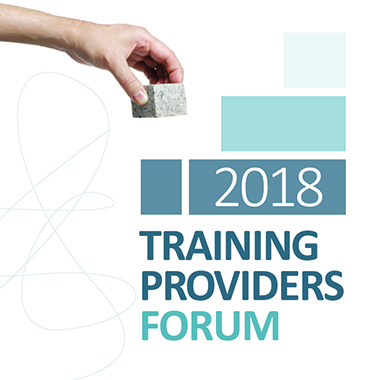 More information about the Training Providers Forum 2018, including the preview program, is available on the TPF18 page of our website at dtwd.wa.gov.au/tpf18. Preview program available, and registrations are open! 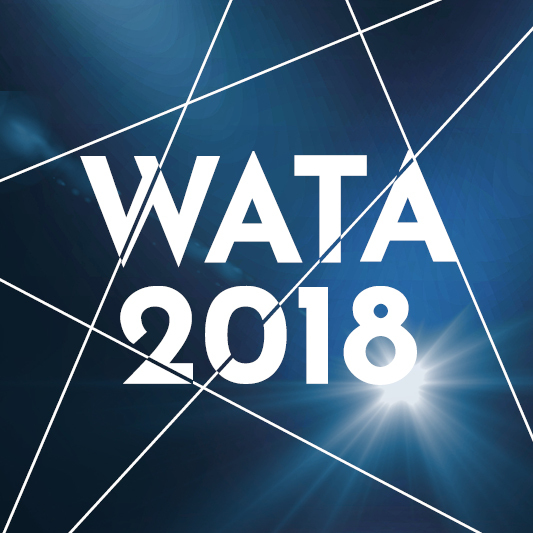 Applications for the 2018 WA Training Awards are now open! Education and Training Minister Sue Ellery today launched the 2018 WA Training Awards while visiting the facilities at North Metropolitan TAFE's Pavilion Restaurant. The WA Training Awards are an opportunity for the Western Australian training sector to showcase excellence, inspire future talent and reward best practice. The awards recognise and reward the achievements of apprentices, trainees and vocational students and the contribution of trainers, training organisations and employers. "The WA Training Awards shine a light on professions that are vital to our State's prosperous future, and the success stories of those within them." Ms Ellery said at the launch. "Training can be the key to creating a better future – getting a better job, securing better pay. Training can change lives. As jobs change and diversify, it is important to showcase the success stories of vocational pathways across a range of sectors and recognise the hard work of those in the industry. I encourage those in the training sector to apply and put your industry in the spotlight." As one of the biggest employing industries in WA, it is anticipated the awards will feature many entrants from the hospitality sector which employs some 97,000 Western Australians and continues to grow. The Pavilion Restaurant is a training facility functioning as a fine dining restaurant to provide real life training experiences for hospitality students from North Metropolitan TAFE. Pavilion-trained chefs have secured coveted positions at some of the world's most renowned restaurants including Eleven Madison Park in New York City and the Fat Duck in London. North Metropolitan TAFE has also had a long and successful history with the WA Training Awards. Trainer of the Year Jane Goodfellow is a trainer at the college, and last year it had eight finalists in individual categories, as well as being a finalist in the Large Training Provider of the Year category. Applications close on Friday May 4, 2018. For media enquiries to the Department please contact Ms Amber Gorrie, Senior Media Officer on 08 6551 5196 or via media@dtwd.wa.gov.au. 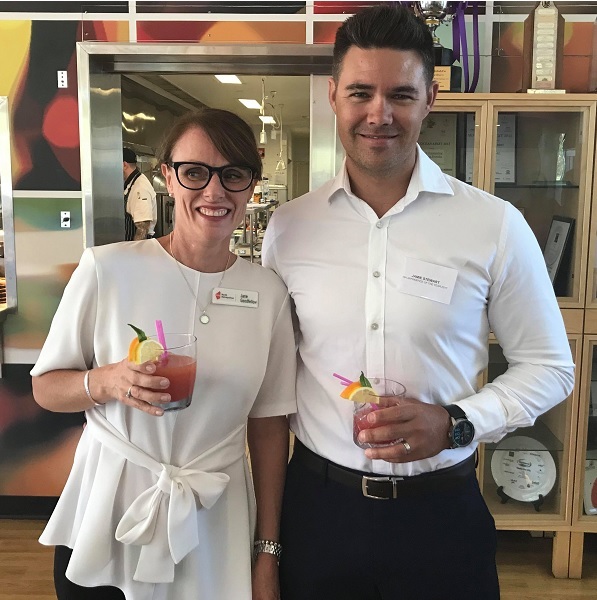 Main picture: WA and Australian Trainer of the Year 2017, Jane Goodfellow, and Jamie Stewart, WA Apprentice of the Year 2017, at the launch event at North Metropolitan TAFE's Pavilion Restaurant. Want to highlight your organisation’s commitment to quality, high level training? Become a WA Training Awards sponsor! Through supporting the Awards, your organisation will be associated with a sector committed to building the WA workforce and providing positive career pathways. Your organisation has the opportunity to give back and engage with the community, rewarding those who are setting the benchmark for quality training outcomes in WA. Editorial exposure in 2017 equated to more than $52,000 in advertising value with stories reaching over 1.3 million people. With a distribution network of over 10,000 individuals, businesses and training organisations, your organisation will be promoted right around the State. With five sponsorship streams to choose from, you can put your organisation in the spotlight from as little as $2,500. Visit the Sponsors page of the WA Training Awards's website Sponsors page to download the WA Training Awards 2018 sponsorship prospectus, or contact the WA Training Awards team on 6551 5608 for more information. Book it in your diary now – 28 May is the day! The Department’s annual vocational education and training conference, the Training Providers Forum 2018, will be held on Monday 28 May at the Perth Convention and Exhibition Centre. In response to feedback from delegates who attended previous events, the 2018 Forum will be a one day event. A busy and vibrant program will both engage and challenge this year's delegates. Training Providers Forum 2018 is aimed at anyone involved in the planning, delivery and assessment of vocational education and training in Western Australia. This includes those from private registered training organisations and TAFE colleges, Industry Training Councils, Skills Service Organisations, schools, universities and government departments. In 2018 delegates will be able to attend the Forum either in person or online. All the plenary presentations, the plenary discussion panel and a selection of workshops will be available live as webinars. Webinar workshops will be indicated on the program. Online delegates can choose between an individual webinar registration for one delegate or a group webinar registration. 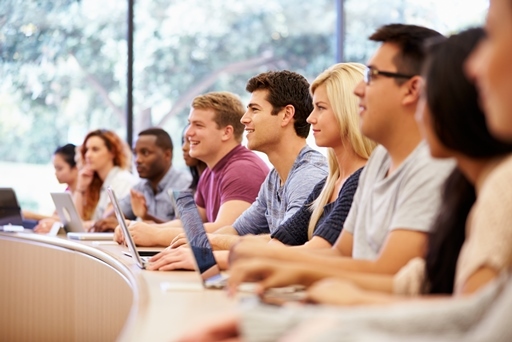 Group webinar registration will allow organisations to set up and project the online classroom into their workplace and invite colleagues to attend. Group registrations are limited to 10 delegates. For more information, contact us via email to tpforum@dtwd.wa.gov.au. To register, please go to event360.dtwd.wa.gov.au/event-calendar. For group registrations, please phone us on 08 6212 9713 or email pd.sector.capability@dtwd.wa.gov.au. 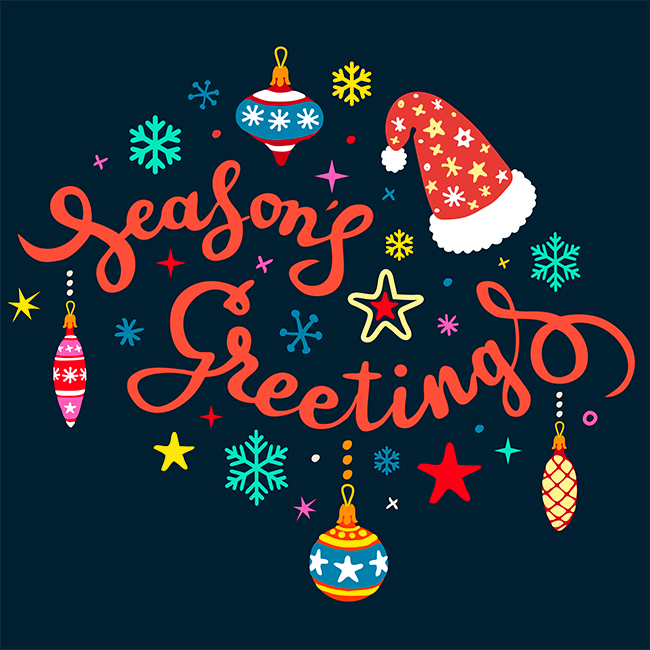 The Department of Training and Workforce Development’s services are closed from Monday 25 December 2017 to Monday 1 January 2018, inclusive. All services will resume operation on Tuesday 2 January 2018. In the meantime please explore our website for relevant information and resources. The Minister for Education and Training is looking for people with effective leadership and strategic thinking skills and the ability to work collegiately within the TAFE sector to help shape training to meet future industry and community needs throughout Western Australia. If you have these skills, knowledge of vocational education and training, experience in community and industry engagement, and a record of service to industry or the community, express your interest now. 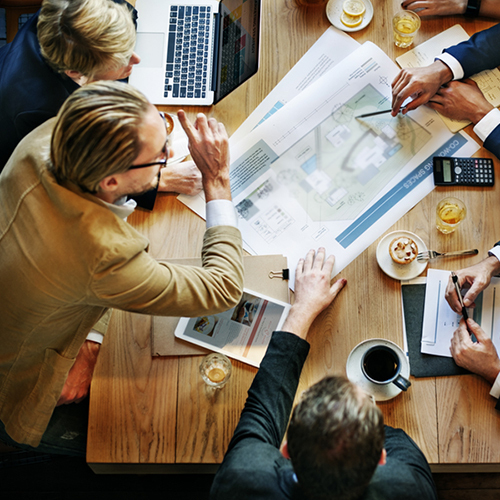 Under the Vocational Education and Training Act 1996, governing councils play a key role in the strategic management of TAFE colleges within the Western Australian Government policy framework. Members of Governing Councils are remunerated for their services. Expressions of interest for membership of the following TAFE college governing councils are invited. Deputy Chairperson at all TAFE college governing councils. The McGowan Government is committed to increasing the representation of women on Government boards and committees. Women are encouraged to apply for governing council membership, or alternatively, register with OnBoardWA to express interest. Aboriginal and/or Torres Strait Islander people; and people from culturally diverse backgrounds are also encouraged to apply. Note: Recommended applicants will be asked to consent to a criminal record check. Applicants with a convictions record are not automatically precluded from appointment to the governing council, each case will be considered on its merits. Understanding your rights and entitlements in the workplace. In Australia there are rights and responsibilities that apply to all employees in all workplaces, but it can be difficult for young people who might get told things or be asked to do things that don't seem quite right, or who aren’t sure what to do or what their rights are when issues arise at work. The Fair Work Ombudsman (FWO) and the Foundation for Young Australians (FYA) have collaborated to develop a series of short videos to assist young people in better understanding their rights and entitlements in the workplace. Episode 1 – Workplace myths busted: lists five common workplace myths then busts them with real facts. Episode 3 – How to address being treated unfairly at work: three steps to follow to find a resolution when being treated unfairly at work. Episode 4 – Unpaid work: find out when it is and is not okay to complete unpaid work, such as volunteering or interning. Episode 5 – Apprenticeships and traineeships: provides apprentices and trainees with five hot tips on their rights and entitlements. Episode 6 – Like a boss: six workplace tips to ensure the transition from an old job to a new job is smooth; like a boss. These videos are available on the Fair Work Ombudsman’s YouTube channel. News and information for WA's vocational education and training sector. The November edition of Training Matters is now available on the Department’s website. For the first time, the magazine will be available online only. 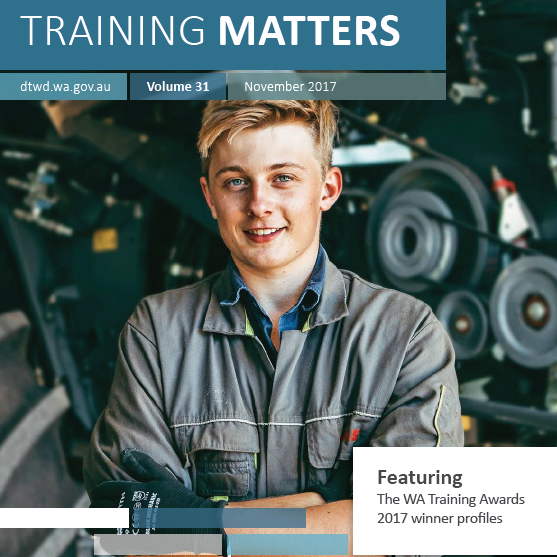 Training Matters is a free magazine produced by the Department for the Western Australian vocational education and training sector. It provides high quality and informative editorial about the latest news and developments in VET and highlights the achievements of students, trainers and organisations in the sector. other key personnel within the training and workforce development sector. In this edition you can read about the winners of the WA Training Awards 2017, find out why two secondary school students chose to take the vocational education and training pathway and read the story of an inspiring lecturer who is giving her students a taste of reality about life as a chef. There’s also articles about the State Training Board’s industry consultation sessions, a young graphic designer who came second in an international competition and a workforce development feature from Alcoa. Go to the Training Matters page for more information, and to view or download the November 2017 edition. Do you work on, or tender for, State Government construction contracts? We invite you to help shape Government policy. The State Government is committed to providing more opportunities for construction apprentices and trainees by expanding Priority Start. The Department of Training and Workforce Development is reviewing the current policy, the Government Building Training Policy, in line with the State Government’s Plan for Jobs election commitment. The current policy requires State Government construction contractors to achieve a target training rate by employing apprentices and trainees. The policy applies to head contractors and subcontractors working on State Government construction projects with a value of over $2 million. The Department is seeking feedback from contractors working on current contracts as well as those who tender, or plan to tender, for State Government construction contracts. Please contact us to confirm your participation in one of the following sessions. To register please email: Policy.PriorityStart@dtwd.wa.gov.au. Alternatively, you may like to review the proposed policy changes and forward your feedback by Thursday 30 November 2017 to Policy.PriorityStart@dtwd.wa.gov.au. For further information, please contact Toni Rogers, Project Officer, on 08 6551 5607. Supporting Aboriginal school students into further education, training or employment. 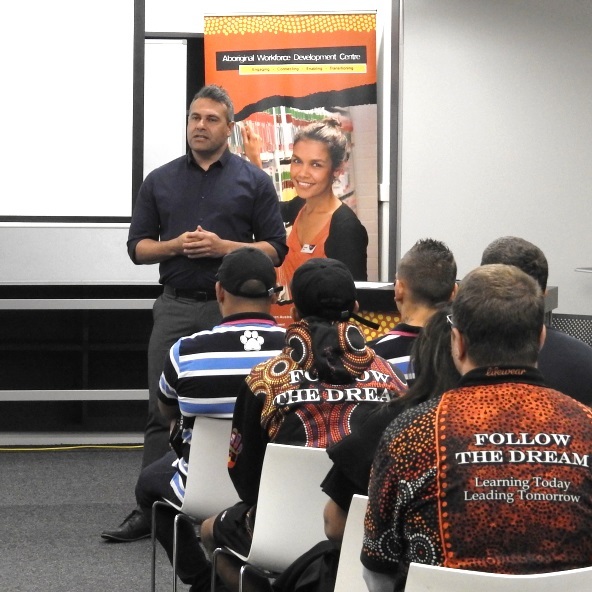 In September the Perth Aboriginal Workforce Development Centre hosted a series of forums that connected graduating Aboriginal secondary school students and young jobseekers with employers, universities and former students. The forums are a part of the AWDC's Aboriginal Youth Transition Program which aims to improve the transition rate of Aboriginal students into further education, training or employment after year 12. More than 80 students attended the forums and met with representatives from 16 organisations. Each employer gave a short presentation about the career opportunities available within their organisation, their application processes and what support networks and/or cultural programs they have in place for Aboriginal employees. The students also had the opportunity to register with the AWDC, so the team can continue to help them with their post schooling goals. Department of Fire and Emergency Services. For more information about the Aboriginal Youth Transition Program and other services available to support Aboriginal jobseekers, please visit the AWDC website. Further sessions planned for 2017–18. The Department of Training and Workforce Development's Apprenticeship Office held two consultation sessions in August to seek feedback on training plan quality improvement. These training plan quality improvement stakeholder consultation sessions were part of a series of regular and ongoing information/consultation sessions that the Apprenticeship Office delivers to stakeholders on a range of topics and matters relating to the apprenticeship system in Western Australia. At both consultation sessions over 100 attendees openly discussed some of the challenges and barriers they face in relation to meeting training plan compliance requirements. This information will assist Apprenticeship Office to identify ways to support the training providers in meeting the requirements in the future. The majority of the attendees have indicated, through their responses to a subsequent satisfaction survey, that they think the consultation sessions were useful and have increased their knowledge about the relevant requirements. More consultation sessions are planned for 2017, and will be available for attendance both in-person and online. Keep an eye on the Apprenticeship Office section of our website for more information as it becomes available. New WA Government initiative increasing diversity on boards and committees. On 20 September 2017 the WA Government launched a new initiative – OnBoardWA – to increase diversity on Government boards and committees. This initiative is one tool to assist in achieving the goal of 50% representation of women across all Government boards and committees by 2019, including in chair and deputy chair roles. 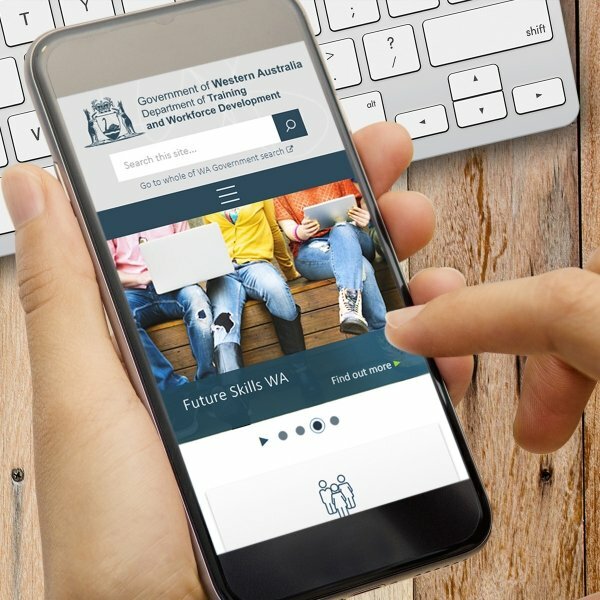 A new website and register has been created at onboardwa.jobs.wa.gov.au to allow potential candidates to register their interest in being considered for board and committee appointments. Decision-makers will be able to search this register to identify suitable candidates and the wealth of excellent women leaders can be reached more effectively. "Government boards and committees rely on community members willing to offer their time, experience, expertise and advice. A cross-section of the community is needed to voice new ideas. For this to happen, it is imperative we increase the number of potential nominees through the OnBoardWA register. To ensure our State reaches its full potential, we must also fully utilise the skills, insights, perspectives and experiences of women. As a Government, we are responsible for many of the interventions required to close the gender gap. Gender balance on decision making bodies improves performance, provides representative leadership and produces real economic benefits. Our decisions are purposeful; we are working to generate positive change and create real opportunities for women’s participation. 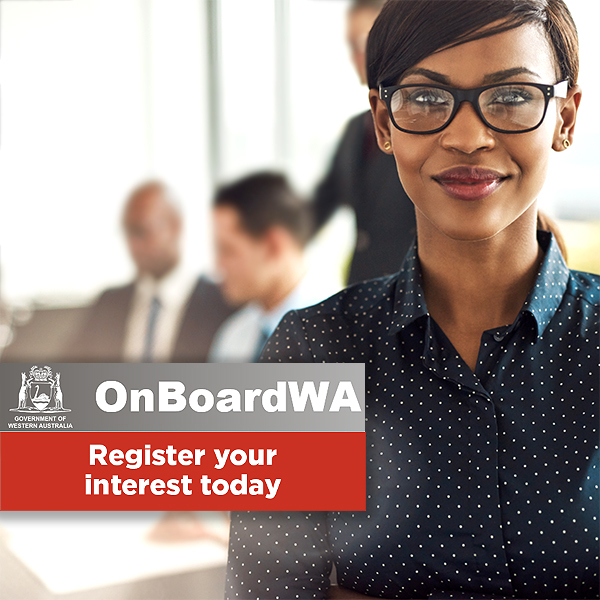 I encourage everyone, especially women, to register with OnBoardWA to ensure a pool of talented and knowledgeable West Australians is available for selection to government boards and committees. For those of you who know a capable person, please encourage them to register with OnBoardWA." The Premier's Circular 2017/08 on boards and committees is available here on the dpc.wa.gov.au website. $3 000 training scholarships – 2018 applications now open! Expanding career options and encouraging women into training. Scholarships of up to $3 000 are available for women who are planning to take up training in non-traditional industries through the Expanding career options for women scholarship program. There are more than 240 qualifications to choose from, starting at Certificate II level, across a range of exciting and interesting industry areas. The scholarship program is a joint initiative of the Department of Local Government and Communities, the Construction Training Fund and the Department of Training and Workforce Development. Over a period of four years 400 scholarships in a variety of industry areas where women currently make up less than 25% of the total workforce will be offered to eligible women in metropolitan and regional areas. Incentives for employers are also available through the program, so employers of women are also encouraged to apply! 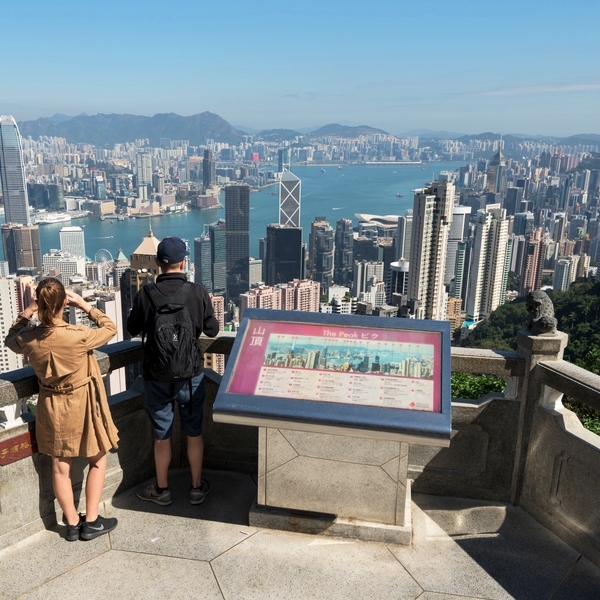 A unique youth exchange program is offering the chance to take a one-of-a-kind trip to Hong Kong. Twelve young Western Australians aged between 18 and 25 years will have the opportunity to participate in the International Youth Exchange Program between Hong Kong and Western Australia in October 2017 and February 2018. Young people from regional areas as well as those with Aboriginal and multicultural backgrounds are encouraged to apply. The program offers participants opportunities to to develop self-confidence, build international networks, gain an understanding of different cultures and develop a base for future career goals. Successful applicants will meet delegates from Hong Kong and participate in activities in Perth in October 2017, before travelling to Hong Kong for a one-of-a-kind trip in February 2018. The program is an initiative of the WA State Government and the Home Affairs Bureau of the Hong Kong Special Administrative Region Government. To find out more and apply online, visit the program page at the Youth Affairs Council of Western Australia website. Priorities and strategies for vocational education and training in WA. The WA State Training Board's State Training Plan 2017–2020 was endorsed by the Hon. Sue Ellery, Minister for Education and Training on 18 July 2017. The priorities identified in the Plan inform funding, planning and policy decisions for vocational education and training in Western Australia. 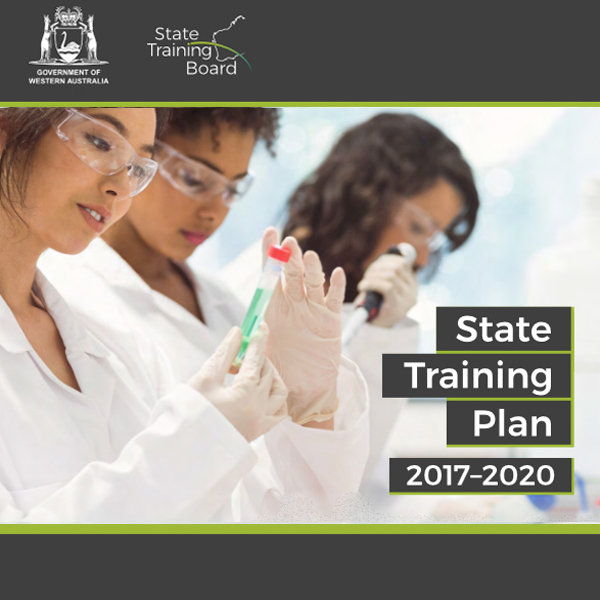 The State Training Plan identifies the current and future training and skill development needs of Western Australia's industries and workforce. It contains strategies that will contribute to achieving the State Government’s major goals and visions for the WA economy and labour market through well-targeted training programs that enable people to access and obtain training that maximises their opportunities for employment and career development. Additionally, the Plan supports the key initiatives in the Government’s Plan for Jobs by investing in affordable, high quality training that’s available through TAFE colleges and private training providers. Particular areas of focus in this new Plan include apprenticeships and traineeships, developing programs that will increase participation in training by young people, responding to the challenges and opportunities from technology advances, supporting older workers, and skills development for the aged care, disability and allied health sectors. 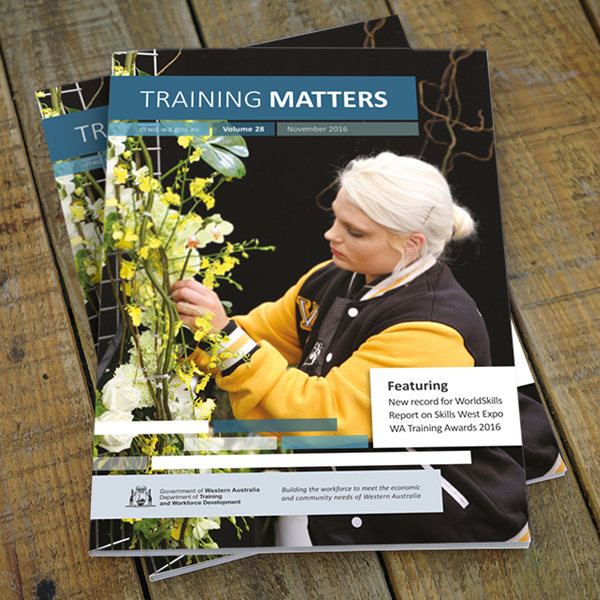 Training Matters is a free magazine produced by the Department for the Western Australian vocational education and training sector. It provides high quality and informative editorial about the latest news and developments in VET and highlights the achievements of students, trainers and organisations in the sector. The August 2017 edition of Training Matters is out now. Our cover story is of Peter Coghlan, a TAFE graduate who was insprired to leave behind his life as a tradie and join the allied health industry after surviving a traumatic accident. You can also see the highlights from this year's Training Providers Forum held in May, and read the stories behind the success of this year's WorldSkills competitors; including Nick Johnston, our WA Skillaroo who's off to Abu Dhabi in October to represent Australia in the international WorldSkills competition. There's a wrap up of this year's very successful Muresk Open Day – and we announce the winner of Muresk's inaugural Dog vs Drone competition. And of course you can catch up on all the latest VET news featuring the State Training Board, the Adult Migrant English Program, what's happening around WA in our TAFE colleges, some great examples of the innovative and exciting work our VET colleagues are doing, and a feature on Skills West Expo happening this month. You can also find out what's going on with a salmon census in Broome and see why baking is on the rise. Go to the Training Matters page for more information, and to view or download the August 2017 edition. Congratulations to WA's best apprentices, trainees, students and trainers. Education and Training Minister Hon. 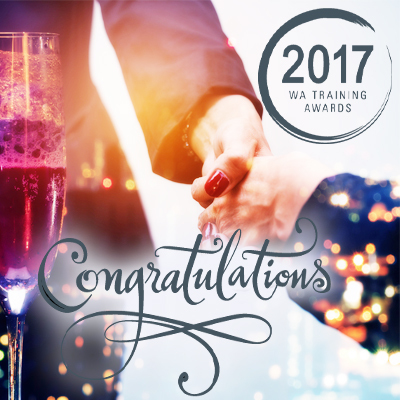 Sue Ellery today announced the 30 individual category finalists for the 2017 WA Training Awards, the State's premier industry awards program recognising talent and excellence in the training sector. 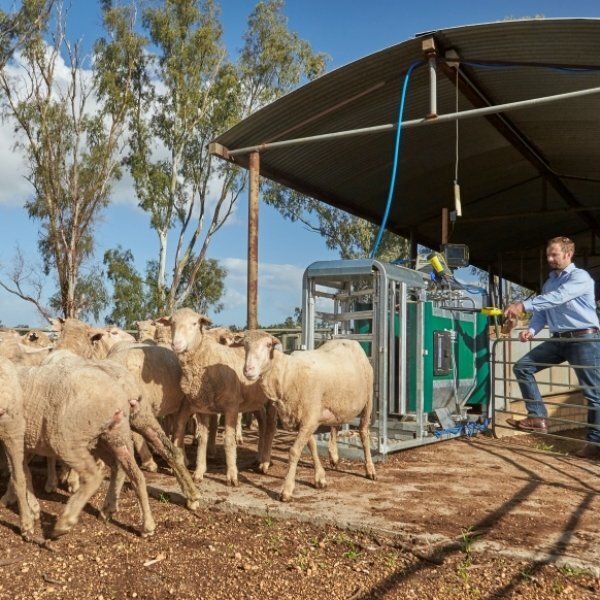 Award winners will be announced at a presentation dinner at the Perth Convention and Exhibition Centre on Friday 15 September, and will go on to represent the State in the Australian Training Awards later this year. "Some of our most promising apprentices, trainees, students and trainers from across the State are finalists in this year's Awards. This Awards program opens doors and gives finalists opportunities to take their skills even further. ", the Minister said. "The training sector is key to our economic future and plays a vital role in the State Government's Plan for Jobs. Our goal is to build a strong training sector to boost the economy and the WA Training Awards support this." The announcement of this year's finalists recognises individual talent in the training sector, like that of WA Trainer of the Year 2017 finalist Jane Goodfellow. Jane's passion for training inspired her to overcome complete and sudden hearing loss six years ago so she could continue to lecture in education support and early childhood. Her extensive contributions to the industry includes developing an Associate Degree in Education and Auslan professional development courses to meet student and community needs. 2017 WA Skillaroos team named for WorldSkills international competition. Hairdressing work experience which turned into trying car painting, and a young gamer working to make his passion his career are two Western Australian stories from the 44th WorldSkills International Competition. WorldSkills competitions are held over a two-year cycle, showcasing skills excellence at State, national and international levels. While females aren’t commonplace in the automotive industry, Dusti-lee Franchi’s aptitude for vehicle painting, and now national recognition, is helping to change perceptions. This achievement for the South Metropolitan TAFE trained painter is the culmination of years of hard work and dedication to her craft. Dusti-lee, 22, from South Lake will be joined by gamer Alex Schmidt, 21, from Parmelia who trained at North Metropolitan TAFE and cabinet maker Nick Johnston, 20, from Roelands who trained with South Regional TAFE. The Skillaroos are now training hard to do Australia proud in the international competition, to be held in Abu Dhabi from 14 to 19 October this year. With more than 3 000 participants representing 77 countries to compete in 51 trades and skills, Australia – currently ranked 12th in the world – is aiming to finish in the top ten in 2017. 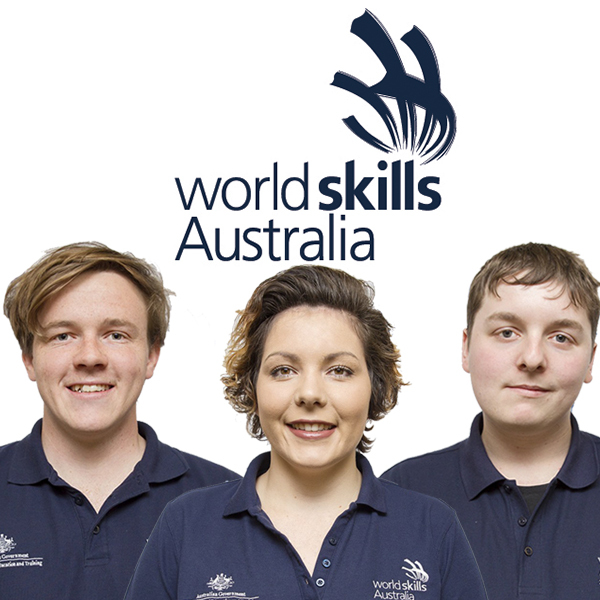 More information about WorldSkills WA is available here on our website. For media enquiries, please contact Ms Amber Gorrie, Senior Media Officer on 08 6551 5196 or via media@dtwd.wa.gov.au. ‘Deadly’ is an Aboriginal expression for 'fantastic' and this year’s Deadly Jobs Expo was exactly that. 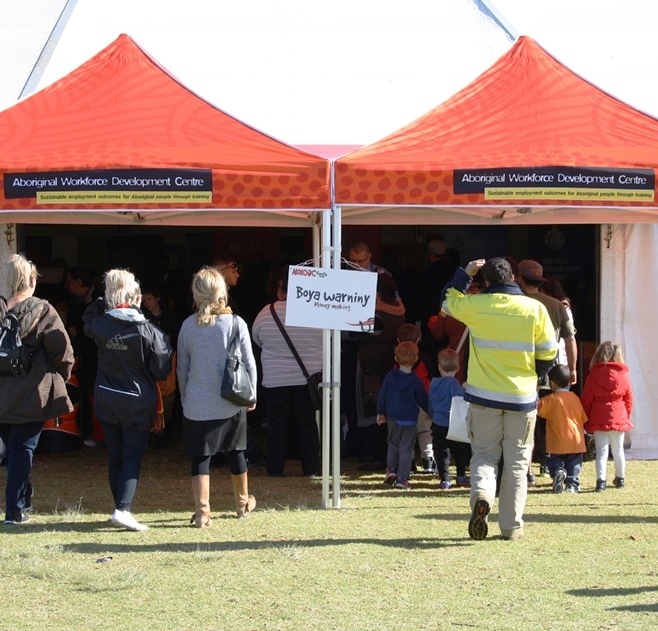 Thousands of people attended the event on 6 July which was organised by the Perth Aboriginal Workforce Development Centre team as part of the Town of Bassendean’s NAIDOC Family Day. Representatives from 45 employers were on hand to talk about their current job opportunities; including the Australian Defence Force, Crown, Australia Post, Rio Tinto, Chandler Macleod, Bunnings, Officeworks and many more. One jobseeker has already started work as a direct result of interaction with employers on the day and the AWDC team are confident more job placements are still to come. For more information on the AWDCs and how they assist Aboriginal jobseekers across Western Australia, please visit the AWDC website. Recognising excellence in our State's employers and training providers. Education and Training Minister Sue Ellery today announced the organisational finalists for the 2017 WA Training Awards from across the State. The organisational finalists represent the efforts and achievements of individuals, employers and training providers in the State. Finalists in the individual categories for apprentices, trainees, students and trainers will be announced next month, and winners will be announced at a presentation dinner to be held at the Perth Convention and Exhibition Centre on Friday 15 September 2017. Small training provider finalist, Auswest Specialist Education and Training Services, provides training in WA prisons. As a result of their training programs, reoffending rates have decreased and they have seen an increase in employment retention for prisoners post custody. The WA Training Awards are presented by the Department of Training and Workforce Development and the State Training Board. For more information, please visit the WA Training Awards website. "There has never been a more important time for training in Western Australia. These finalists go above and beyond to drive opportunities and partnerships, a key factor to achieve employment targets and build a stronger WA. We are working to ensure our training system delivers opportunities for any Western Australian wanting to enter or re-enter the workforce or change careers. These finalists are setting the benchmark because we are looking for training on which to grow jobs and support the economy." This media statement was originally published here. Please contact the Minister's office for enquiries: 6552 5700. For all media enquiries to the Department please email media@dtwd.wa.gov.au. A response to messages on social media regarding the WA Careers Expo. The Department of Training and Workforce Development would like to address the messages received recently on social media channels regarding this year’s WA Careers Expo. The Department’s Career Centre attended the Expo as an exhibitor, however the Career Centre is not the organiser of the WA Careers Expo and is not involved with any decision making on how the Expo is managed. The Career Centre is a free service which offers career planning advice to anyone who is currently participating in, or intends to enter the Western Australian workforce. Services can be accessed by phone, email, web chat and face-to-face. The Career Centre also offers school workshops to assist students who wish to work through the career planning tools on the website. The Career Centre welcomes everyone who wishes to plan their next steps in their career journey. 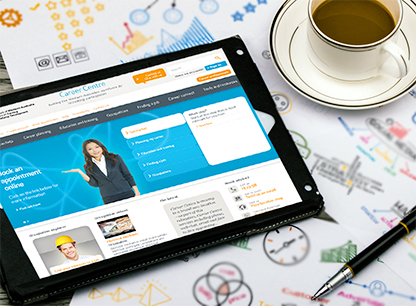 For more information on the Department’s Career Centre services, and to access the variety of free career planning tools, visit their website at careercentre.dtwd.wa.gov.au. Student help line available for those requiring assistance. Following the announcement that Careers Australia has gone into voluntary administration, the Department of Training and Workforce Development has put in place a number of processes to support affected students in Western Australia. Acting Director General Ms Anne Driscoll said the Department is sympathetic to the disruption and uncertainty the closure of Careers Australia has undoubtedly caused for these students. Students should call the Department on 131 954, 8:30am–4:30pm Monday to Friday, or email trainingmarkets@dtwd.wa.gov.au and provide their name, contact details, the course they are enrolled in and confirm if they are a recipient of a VET student loan. “The Department will work closely with the Department of Education, the administrators and the Commonwealth Government Department of Education and Training and the Australian Apprenticeship Support Network providers over the forthcoming week to develop transition arrangements for affected students to assist them to continue their studies with another provider,” Ms Driscoll said. News and information for the WA vocational education and training sector. 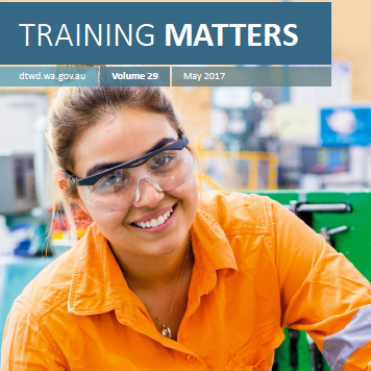 The May 2017 edition of Training Matters is out now. It features an article written by our new Education and Training Minister Sue Ellery MLC on the key focus areas of the McGowan Government for the training sector. Other feature stories include a catch up with last year's WA Training Awards winners, a round-up of what's happening in our five TAFE colleges and a profile of four WA TAFE students who will represent Australia at next year's WorldSkills International competition. We also feature Study Perth's new Welcome Desk for international students, a first for Western Australia. Go to the Training Matters page for more information, and to view the May 2017 edition. Students report high levels of satisfaction with WA colleges. The Student Satisfaction Survey is conducted annually to gather information about the satisfaction levels amongst students at Western Australia's five TAFE colleges and the WA Academy of Performing Arts. The results inform the development and improvement of policy, planning and resources, and enable the colleges to gain a better understanding of their customers and their needs. The survey is also a critical component of statutory reporting for State Parliament. In total, 12 060 unique and valid completed surveys were collected. In general the report highlights a number of areas in which satisfaction levels have significantly increased from those reported in the 2015 survey results. The Student Satisfaction Survey 2016: WA State Report has now been published and is available here. 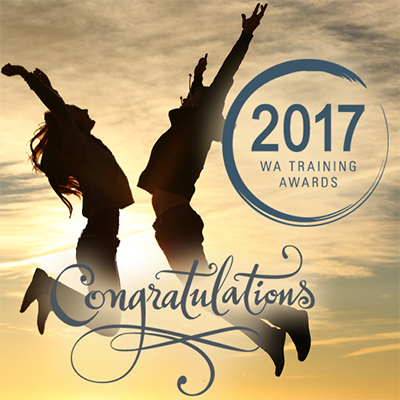 Applications for the 2017 WA Training Awards have now closed. We are currently verifying applicant details and will confirm all applications by the end of this week. Shortlisting across the Awards categories will commence next week. Our judging panels are looking forward to reading about WA’s best training programs, initiatives, trainers and students. Individual applicants will be notified as to whether they have been selected as a semi-finalist by Wednesday 14 June 2017. Organisation applicants will be notified as to whether they have been selected as a finalist by Friday 30 June 2017. Please refer to the About the Awards section of our website for information on the Awards process and key dates. Find the WA Training Awards on Facebook, Twitter, LinkedIn, YouTube or Wordpress for all the latest information on the next phase of your WA Training Awards journey. If you have any questions, please direct them to trainingawards@dtwd.wa.gov.au. Once in a lifetime opportunity for WA Training Awards winner Brendan Carlson. Thanks to the WA Training awards, former Swanbourne resident and 2016 WA Apprentice of the Year Brendan Carlson was selected to travel to India with Prime Minister Malcolm Turnbull for the Australia–India Skills mission. The purpose of the mission, held in April, was to strengthen Australia’s engagement with India and commitment to skilling in a global economy. This is not his first coup; since winning the WA Training Award Brendan has also travelled to Darwin and Canberra to speak about his training experiences. Originally an Infantry Soldier in the Australian Defence Force, Brendan said the award win had certainly opened a lot of doors on his new career path. The Newman resident worked in the Australian Defence Force for six years before completing an apprenticeship with Chevron as part of his transition back into civilian life. He will be traveling to Adelaide in August to speak at the TAFE Directors Australia Convention and then to Canberra in November to mentor applicants in this year’s Australian Training Awards. Applications are now open for the 2017 WA Training Awards and close 5 May 2017. More information can be found online at dtwd.wa.gov.au/watrainingawards. 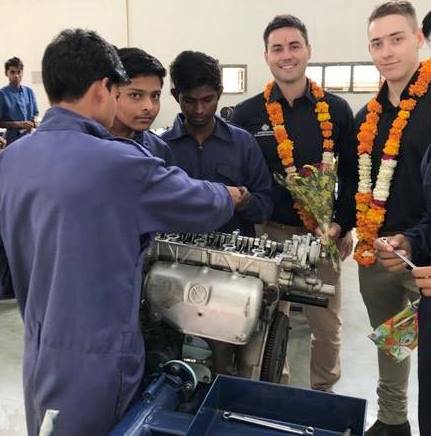 Main picture: Brendan Carlson, WA Apprentice of the Year 2016 (second from right) with Australian Apprentice of the Year 2016 Shane Dealy (far right), talking to students during the Australia-India Skills Mission. There is still time for Western Australian students, trainees, apprentices, trainers and organisations to put their accomplishments in the spotlight as part of the WA Training Awards 2017. The 2016 WA Apprentice of the Year Brendan Carlson discovered that winning the award opened up opportunities to advance his career. Brendan worked in the Australian Defence Force for six years before completing an electrical/instrumentation apprenticeship with Chevron, as part of his transition back into civilian life. "The annual awards are an ideal opportunity to celebrate and honour the achievements of some of the outstanding performers from vocational education and training in the State. In addition to officially recognising training success, the awards are also a springboard for finalists and winners to build on their notable achievements and raise their profile in their chosen careers." the Minister said. "A key focus of this Government is jobs, which requires a strong, industry-driven training sector that can drive economic development. Success stories such as last year's Apprentice of the Year show how a robust training sector attracts students and allows them to move in and around the labour market." Award winners will be announced in September and each winner will receive $5 000 in cash or prizes. Winners may also be eligible to compete against the nation's best at the Australian Training Awards later in the year. Applications for the WA Training Awards 2017 close at 5pm on Friday, May 5. For more information, visit dtwd.wa.gov.au/trainingawards or telephone 08 6551 5608. Showcasing agricultural techniques, technologies and careers. Muresk Institute is gearing up for this year’s open day on Saturday 20 May 2017, with a full program of events and activities planned. The open day will showcase new techniques, technologies and careers in the agricultural sector, providing visitors with the opportunity to talk to potential employers and training providers. This year’s event will officially be launched by Don Hancey, WA Food Ambassador, and will see the inclusion of a ‘chill out zone’ and a vintage car display by the Avon Valley Vintage Vehicle Association. There will be plenty to see and do with activities for the whole family including a petting zoo, farm tours, quad bike and drone demonstrations, and a range of delicious lunch options – all the while surrounded by beautiful Avon Valley scenery. Keep an eye on the Muresk Institute Facebook page for all the latest information and make sure you bookmark Saturday 20 May 2017 in your calendar. Gates open at 9 am. 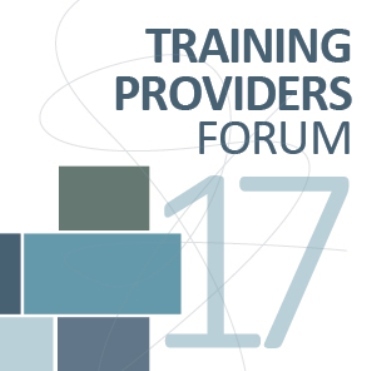 Training Providers Forum 2017 program out now! A busy and vibrant program will engage and challenge delegates. The Department’s annual vocational education and training conference, the Training Providers Forum 2017, will be held on Monday 29 May at the Perth Convention and Exhibition Centre. In response to feedback from delegates who attended previous events, the 2017 Forum will be a one day event. In 2017 delegates will be able to attend the Forum either in person or online. All the plenary presentations, the plenary discussion panel and a selection of workshops will be available live as webinars. Webinar workshops will be indicated on the program. Online delegates can choose between an individual webinar registration for one delegate or a group webinar registration, which enables you to set up and project the online classroom. Find out more, view the program and register for your early bird discount. 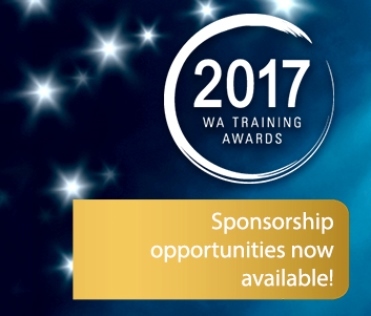 Here's an opportunity to put your organisation in the spotlight by sponsoring the WA Training Awards. Each year the Awards partner with a range of WA businesses and training sector stakeholders to present this exemplary program and event. With a distribution network of over 10 000 individuals in training and stakeholders in the State's vocational education and training sector, the WA Training Awards presents sponsors with a unique opportunity to profile their organisation for their commitment to quality training and the development of a skilled workforce for WA. As a sponsor, you will benefit from valuable marketing opportunities, involvement in the judging process, presentation rights at the Awards event in September, exposure to a diverse audience and much more. Packages are available to sponsor the Semi-finalist Judging Day event, Award categories and the Presentation Dinner at Perth Convention and Exhibition Centre, and start at just $6 000. Talk to us today about a tailored package to benefit your organisation and how you can contribute to this prestigious program. To find out more, please visit the WA Training Awards sponsorship page or you can contact Elysia Tsangarides, WA Training Awards Coordinator on 08 6551 5608 or via email to trainingawards@dtwd.wa.gov.au. Applications for the WA Training Awards 2017 are now open. The Western Australian Training Awards recognise WA’s top achieving apprentices, trainees and vocational students, the dedicated lecturers driving students to success and the training organisations and businesses raising the bar for quality training and a skilled workforce for WA. Winners will be announced at a Presentation Dinner on Friday 15 September 2017 and will receive $5 000 in cash or prizes and recognition as the best in the Western Australia. Winners in eligible categories will also have the opportunity to represent Western Australia at the Australian Training Awards in Canberra in November. The WA Training Awards judging panels look forward to receiving your application, so if you’re passionate about quality training in Western Australia, visit the WA Training Awards website to download an application guide and apply today! The Awards team will be running two webinars – one for individual category applicants and one for organisation category applicants on Friday 3 February 2017. These sessions will provide an overview of the process, how to apply, tips and tricks and will assist applicants with any questions they may have about this year’s program. Email trainingawards@dtwd.wa.gov.au to register your interest in the webinars. Applications close Friday 5 May 2017. To stay up to date on all the latest news, follow the WA Training Awards on Facebook, Instagram, Twitter, LinkedIn and YouTube or subscribe to the WA Training Awards blog. The new Agricola Residential College opens. On Monday 23 January the new Agricola Residential College, located in Kalgoorlie, was officially opened to meet the increasing demand for accommodation for students undertaking training in the Goldfields. and Member for Kalgoorlie Wendy Duncan at the opening of the Agricola Residential College. Photo by Travis Anderson ©Curtin University. The project to upgrade the original facility with 180 new individual bedrooms and refurbished accommodations was made possible via funding through the State Government's Royalties for Regions Skills Training Initiative and from the Department of Training and Workforce Development, the Department of Regional Development, and Curtin University. 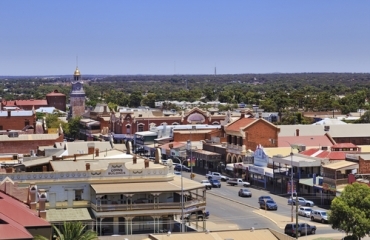 With world-class training facilities such as Central Regional TAFE's Kalgoorlie campus and Curtin University's Western Australian School of Mines attracting students from all over Australia and overseas to the Goldfields area, Agricola can now offer accommodation for up to 228 students. The facility will also provide opportunities for regional, remote or rural students who may not be able to relocate to Perth to access training. Agricola will also provide benefits to the local industry as workplaces wanting to employ locally will be able to attract graduates who wish to move into the regional workforce. Read more in the media statement from Hon Liza Harvey MLA, Deputy Premier; Minister for Training and Workforce Development. The Department's new website launched successfully on 15 December. Welcome to the new website for the Department of Training and Workforce Development, which went live on 15 December 2016. The new website has a new design and content has been reorganised to so that it is now more aligned with our clients and stakeholders, and information is now easier to locate within each of the five main sections; Training, Career development, Workforce development, Online services and About us along the main menu bar at the top of the home page. Additionally, the new website is compliant with all State Government requirements, including accessibility, and is mobile device friendly. We have also provided a one-stop-shop for links to resources and information from across the website that are relevant to three of our key client groups. These can be easily accessed via the notes on the home page (pictured below) or the three icons on the right-hand side of the main menu bar. Please browse around and take a look at what's new. We welcome your feedback on the new website – please email us via website@dtwd.wa.gov.au, or use our online form to contact us. Online applications system temporarily closed for maintenance. TAFE Admissions will be unable to take online applications between 5pm on 16 December 2016 and 9am on 20 December 2016, due to system maintenance. Applicants wishing to speak with one of the Department’s TAFE Admissions staff members should phone 08 6212 9888, or email TAFE.Admissions@dtwd.wa.gov.au. Now is a great time to get career advice. While the Career Centre provides career information and guidance throughout the year to Western Australians of all ages and stages in their lives, the period from October to April has its own set of challenges. using webchat to talk to a Career Centre customer. • I don’t know what to do now school has finished. • I didn’t get my WACE so now I can’t meet the prerequisites for the pre-apprenticeship I applied for. • I didn’t get the (ATAR/WACE/Year 12) results I was hoping for and now I won’t be able to start the university course I applied for. • I need a plan B in case my results are not as favourable as I would like. • I have finished high school and I need to get a job. • How am I going to continue to pay my rent/mortgage? • I need a job, something, anything, as soon as possible and then I can think about what I want to do for the longer term. • I wonder if I should re-train before I look for work again. • I have no idea what to do next for work. • This would be my last year at university however I don’t think I want to continue studying [field of study] anymore. • I want to change my degree/major at university this year. • I would like to find out what occupations I can work in when I finish my current studies. Whatever the time of year and whatever the type of question, Career Centre staff are there to help their clients with all of these questions through web chat, email, phone and face to face. Do you know of somebody who would benefit from the friendly expertise of the Career Centre team? Email career.centre@dtwd.wa.gov.au or call 13 64 64 to find out more, or visit the Career Centre website. Young people have been shown possible careers in agriculture through training at Muresk Institute. Muresk Institute General Manager Prue Jenkins said eight veterinary nursing students and a group from the As One Nyitting Caring for Country program had a fantastic learning experience with a visiting vet earlier this month. “One of our farm horses, Teddy, has a history of lameness in his right front leg,” she said. “John Williams, a specialist equine vet from Ascot, came out with his mobile x-ray equipment to see Teddy. “The two student groups had the chance to see an equine specialist at work and see the inner workings of a horse’s leg.” The x-ray was connected via Bluetooth to John’s laptop so he could diagnose the problem on the spot. The students were amazed to see the bone structure of a living horse right in front of them. takes an xray of the right front leg of Teddy; one of the Muresk Institute farm horses. The animal studies course will be delivered by Central Regional TAFE at Muresk Institute for one semester full time and expressions of interest are being taken now. To register, phone 08 9622 6777 or email northam@crtafe.wa.edu.au. Muresk Institute is an education and training facility situated in the Wheatbelt (approximately 100km east of Perth). The Institute boasts modern education and training, conference and specialised research facilities. Visit the Muresk Institute website to find out more. 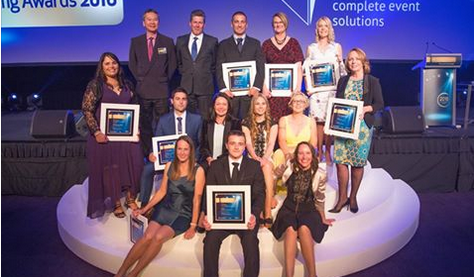 Once again Western Australia's brightest and best are in the spotlight at the Australian Training Awards. A Western Australian lecturer who teaches in the State’s far north has received the honour of being named runner-up Australian VET Teacher/Trainer of the Year for 2016. 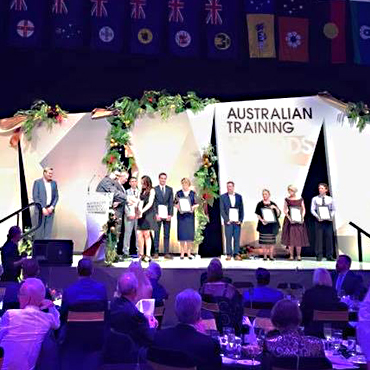 Tegan Mossop was among the nation’s best in the training sector at the 2016 Australian Training Awards presentation dinner held in Darwin last week. The Australian Training Awards recognise the achievements of business, registered training organisations and everyday Australians in vocational education and training. Joining Tegan as a finalist from WA were Naomi Beath, (Aboriginal and Torres Strait Islander Student of the Year), Louise Brookes (Vocational Student of the Year), Liam Brien (Australian School Based Apprentice of the Year), Brendan Carlson (Australian Apprentice of the Year Award) and Blake Sayer (Apprentice (Trainee) of the Year). Organisation finalists included Mount Barker Community College (School Pathways to VET Award) and Kwinana Industries Council’s Education Development Program (Industry Collaboration Award). Dr Shean said the Department was proud of all of our finalists. “Being part of the Australian Training Awards is a tremendous professional development opportunity which will provide valuable experience for all of our finalists,” she said. For more information on this year’s winners, visit the Winners page of the WA Training Awards website. Five young champions from Western Australia have been selected to join the WorldSkills Australia Skills Squad in the first stage of qualifying to represent Australia as Skillaroos at the 2017 International competition in Abu Dhabi. Their selection follows the success of TeamWA at the 2016 WorldSkills Australia National Competition, held in October, where Western Australia won a total of 27 medals across every industry category at the event with TeamWA members having qualified through regional competitions the previous year. The Skills Squad met for the first time in November at an orientation camp designed to prepare them for the rigorous training schedule ahead. 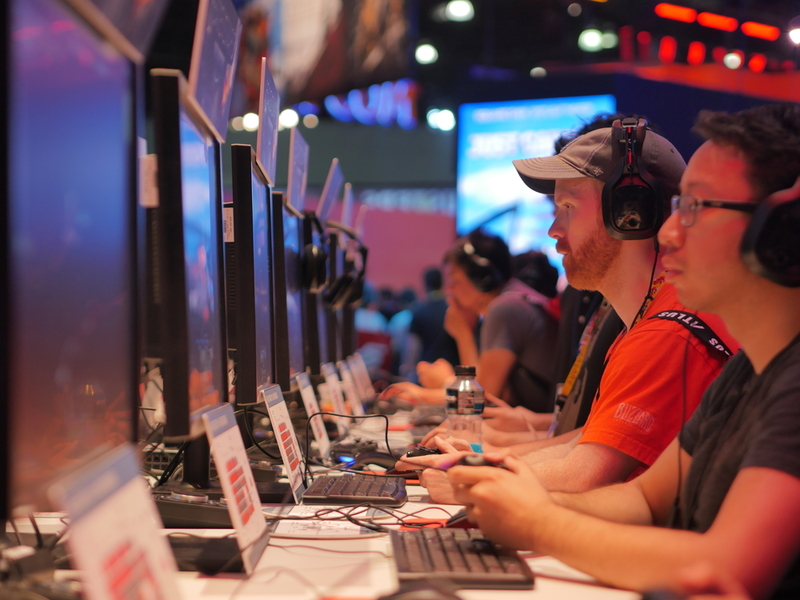 The international competition will feature over 1 000 competitors from over 70 countries competing in skill categories for gold, silver and bronze medals. All five members from WA are passionate about their industries and have proved they are prepared to train hard to get results. They have each been teamed up with a training expert and are now busy developing training plans to ensure they are competition‑ready by October next year. WA also has one training expert heading to Abu Dhabi; Brendan Hibbert from North Metropolitan TAFE was selected as the expert in the Graphic design category and will be working with Chris Williamson to get his skills ready for the task ahead. The next round of WorldSkills Australia Regional Competitions will be run across Western Australia in 2017. For more information visit the WorldSkills WA page. 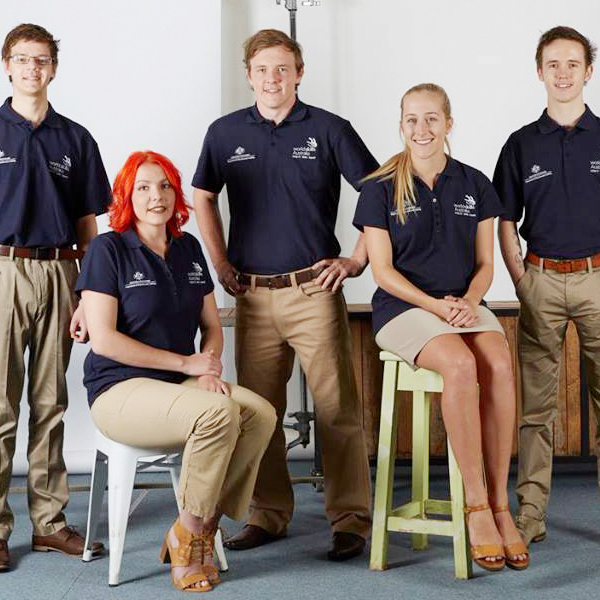 WorldSkills Australia aims to develop and nurture the skills of young Australians. Our purpose is to promote and build a skills culture by inspiring young people, celebrating skills excellence and providing them with an opportunity to showcase their trade and skill talent. For more information, visit the WorldSkills WA web page. The international competition will be held from 14-19 October 2016 in Abu Dhabi. Published by the Department of Training and Workforce Development, the November 2016 issue of Training Matters magazine is available now. Training Matters November 2016 edition features Team WA’s record results at the WorldSkills Australia National Competition in Melbourne. We also celebrate top achievers at the WA Training Awards 2016. Other stories include cadet programs for the public sector and Aboriginal police, a report on Skills West Expo and the reintroduction of barbering as an apprenticeship. Regular items include the Director General’s comment, industry profiles and professional development news. 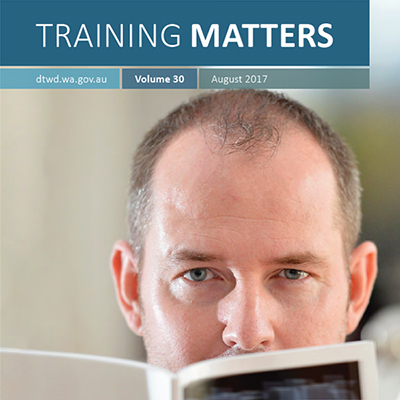 If you wish to be on the distribution list for future issues of Training Matters either in print or electronically, email trainingmatters@dtwd.wa.gov.au. Training Matters welcomes submissions of story ideas and advertising requests. Please visit our page to find out more. The WA Training Awards 2016 Presentation Dinner was held last Friday night at the Perth Convention and Exhibition Centre, in celebration of the outstanding individuals and organisations in the vocational education and training sector. The Department of Training and Workforce Development and State Training Board congratulate the winners of the WA Training Awards 2016 for their exceptional achievements and contribution to training in Western Australia. State winners in eligible categories* will now have the opportunity to represent Western Australia at the Australian Training Awards in Darwin on 17 November 2016. We would like to thank all applicants for putting themselves in the spotlight for this year’s WA Training Awards. We encourage all applicants to contact the Awards team at trainingawards@dtwd.wa.gov.au to obtain feedback on their applications. For more information on the Training Awards and this year's winners, please visit the WA Training Awards website. *Does not include the WA Cultural Diversity Training Award or WA International Student of the Year winners as these are categories unique to WA. A new scholarship program has been launched by the State Government which will benefit people on the Autism spectrum and help create a pathway to future employment. ​A new scholarship program has been launched by the State Government which will benefit people on the Autism spectrum and help create a pathway to future employment. There are up to five training scholarships to the value of $5 000 each in the pilot program, which will be awarded to people who are on the Autism spectrum to study in the field of information technology. Scholarships will cover the cost of student fees in Certificate IV and Diploma level courses in information technology, programming or software development. Software testing needs high levels of attention over prolonged periods of time, and this plays to the strengths of many individuals who are on the Autism spectrum. The program is a collaboration between the Autism Academy for Software Quality Assurance based at Curtin University, South Metropolitan TAFE, the Autism Association of Western Australia and the Department of Training and Workforce Development. Application forms are available from research.curtin.edu.au/institutes-centres/autism. Applications close 14 October 2016.